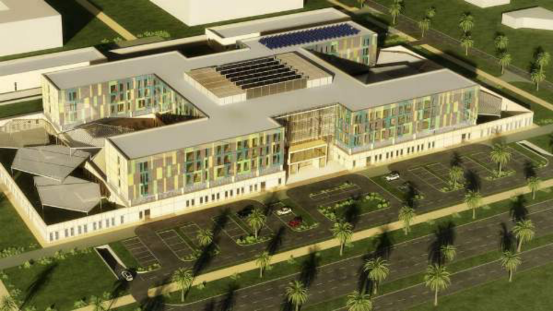 The 156-bed Abu Dhabi Medical Rehabilitation Centre is located in the development area of Khalifa City. The Centre includes five stories, including one and a half basement levels and a technical plant level. Upon completion, the range of services offered by this facility will cover all needs for rehabilitation, including paediatric and geriatric care.